John Fife: Road - It's not a van! According to Volkswagen it’s a van! The new Golf Sportsvan Concept debuted at the Frankfurt Show will replace the current Golf Plus model. At 4,338 mm long, the new Sportsvan is 134 mm longer than the Golf Plus, and 83 mm longer than the Golf. It is 224 mm shorter than the Golf Estate. Its 2,685 mm wheelbase is 48 mm longer than the Golf, and it is also 80 mm wider, at 1,870 mm, and 126 mm higher, at 1,578 mm (excluding roof rails). Inside, the rear 60/40 split bench seats can slide forwards and backwards by up to 180 mm, to increase either passenger or luggage space as required. 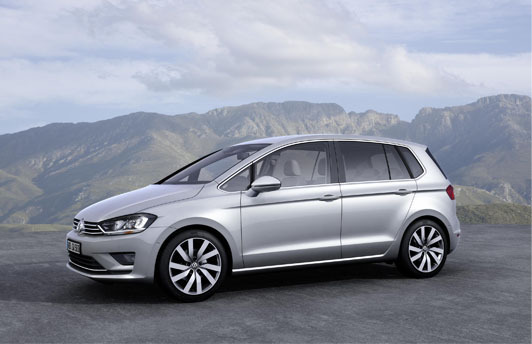 The Golf Sportsvan is expected to go on sale in the UK in mid-2014, but will not use the Sportsvan name in the UK!